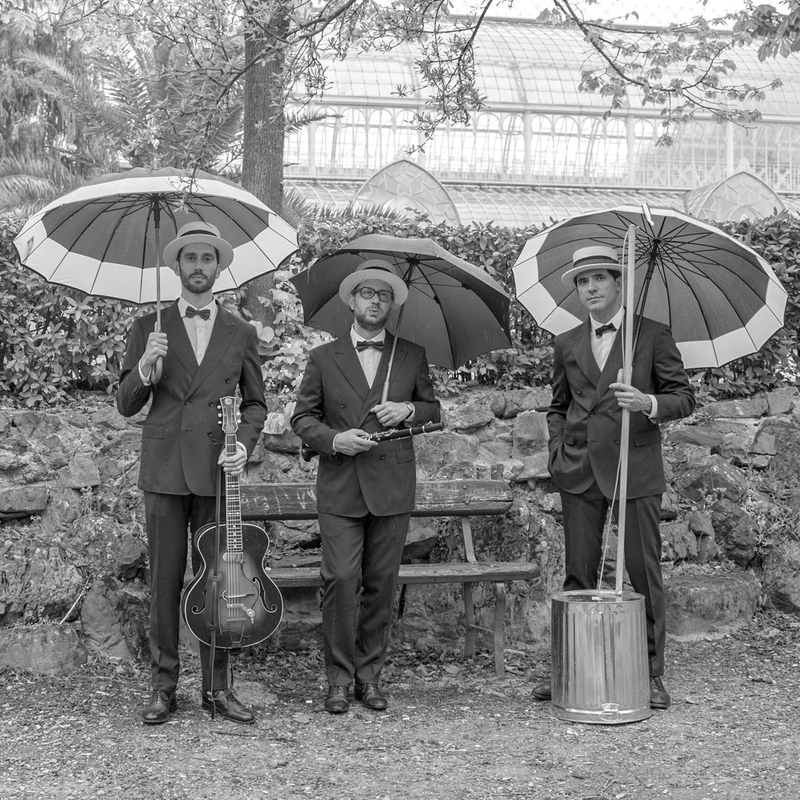 I Citofoni is a trio of professional musicians consisting of: Giulio (voice and guitar), Matteo (voice-mandolin-bass) and Simone (tenor sax) who interprets the great Italian and French songs in swing key without disdaining the world’s classic jazz standards. The trio manages to wander with ease in a variety of musical genres: instrumental, acoustic, swing, jazz, folk, songwriter and more. Their vast repertoire is composed of Italian and French songs of the last 50-60 years.